I’ve been checking some things out, as you may expect, on the 1940-era tax photos newly uploaded to the NYC Municipal Archives site. 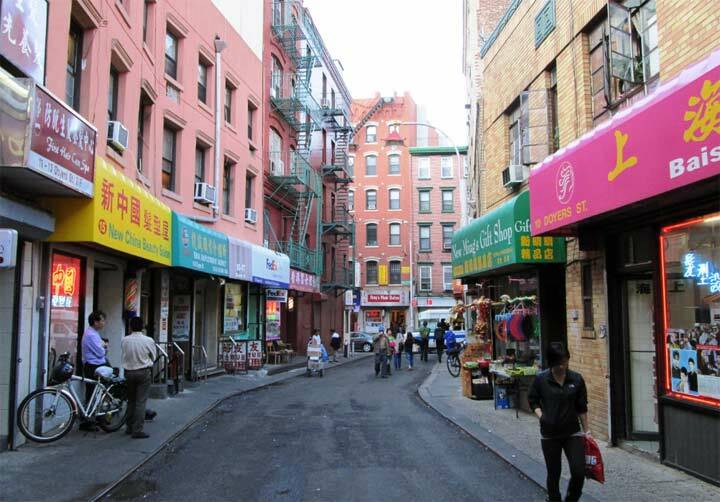 I’ve looked at the well-known buildings in Manhattan and Brooklyn, but the site also makes some forgotten streets “come alive.” One of them is Roberge Place, which used to be in Coney Island. I doubt anyone has thought about or remembered Roberge Place in decades. As you can see, Roberge Place was a tiny, one block alley between West 3rd and West 5th (like a lot of Brooklyn “West” streets, West 4th was skipped) north of Sea Breeze Avenue. The Archives has two buildings on Roberge Place, the one you see above, #4 Roberge, as well as #2 Roberge. Roberge Place probably survived into the 1960s, when Fred Trump constructed the high rise project called Trump Village. 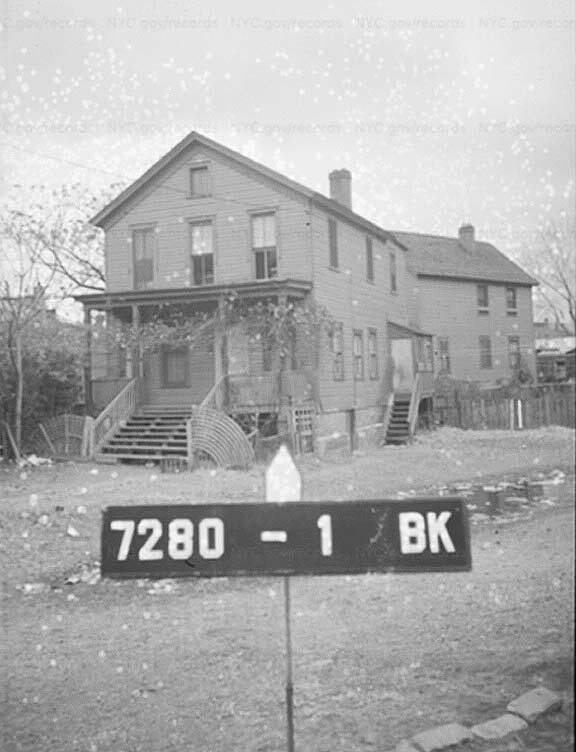 Fred Trump began building middle-class houses in Queens during the 1920s and built Trump Market Trump Village, the project for which he is best known in Coney Island, was constructed in 1963. Fred Trump married Mary McLeod in 1936 and had five children, Maryanne Trump Barry,Elizabeth Trump Grau, Donald, Robert and Fred Jr., who passed away in 1981. “which used to be in Staten Island”?? Your webmaster’s senility is showing at age 61. Fixed. 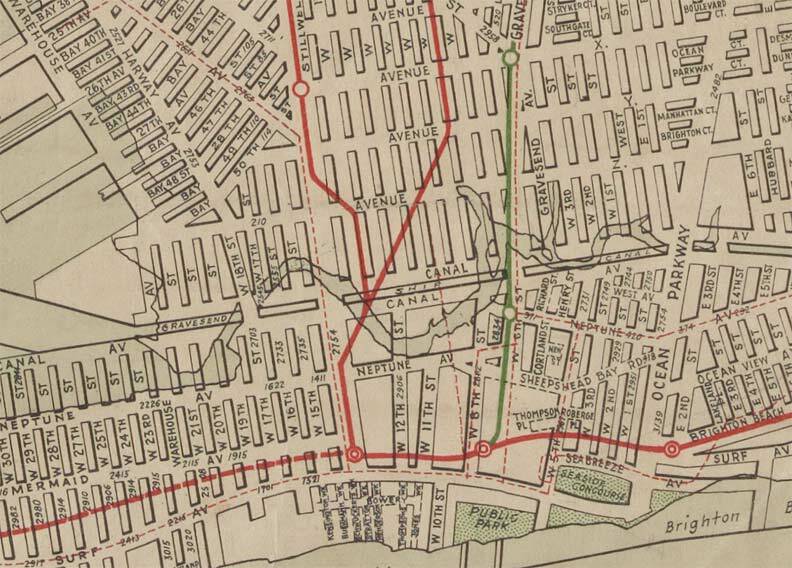 LOL, I spent an hour last night looking over old maps of Staten Island and couldn’t find a Roberge Place. Now I know why! They had 5 children including a daughter named Elizabeth. Thanks — updated the page. I lived in a Fred Trump building in Jamaica Estates in the mid-1960s. He has taken a lot of heat, including being pilloried in a Woody Guthrie song, but I had a good experience of him as a landlord.